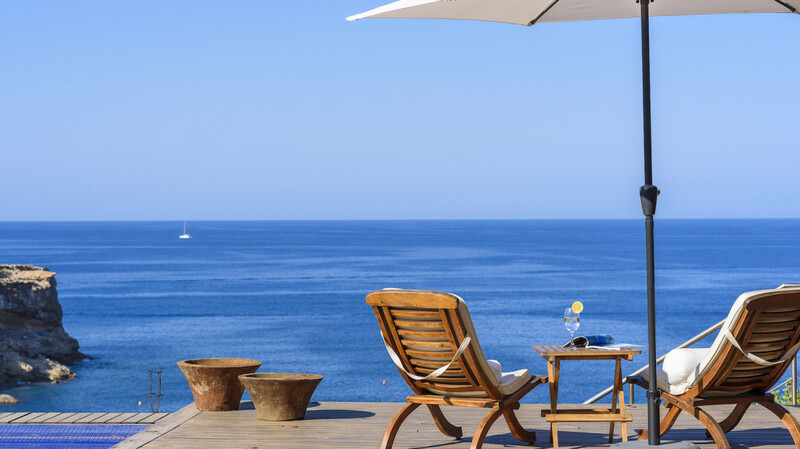 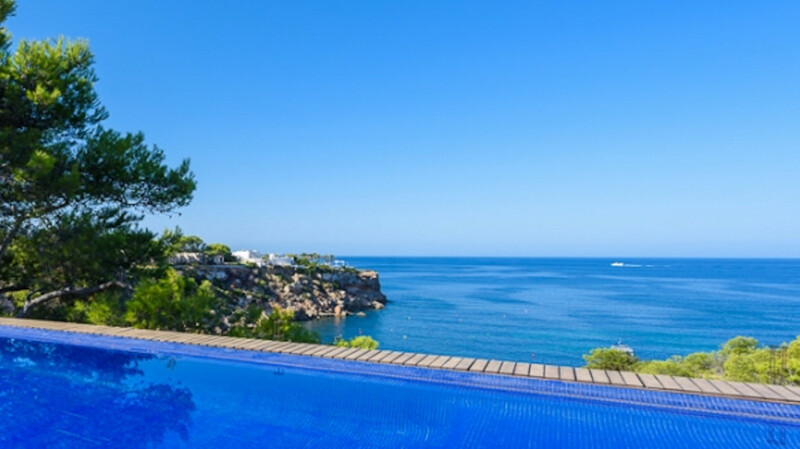 Villa Coral is a luxury property with impressive views to the Mediterranean sea and the sunset. 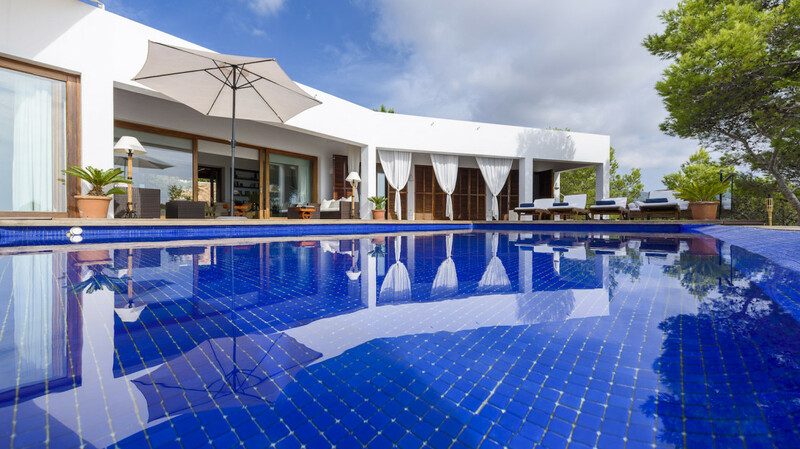 Villa Coral has been tastefully decorated with a colonial touch. 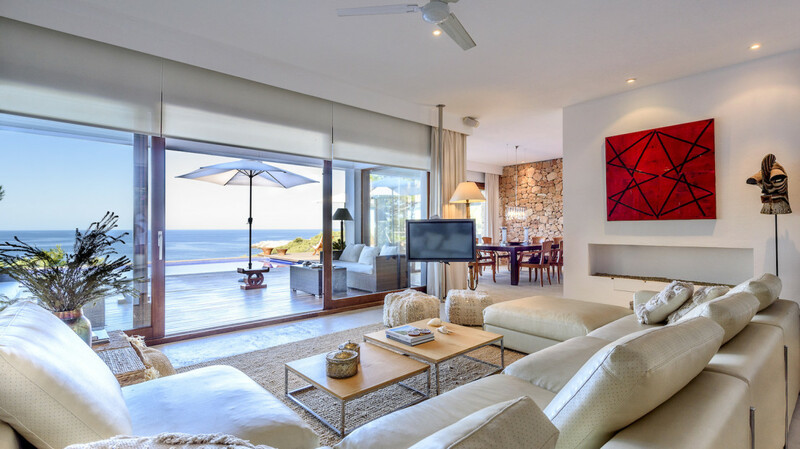 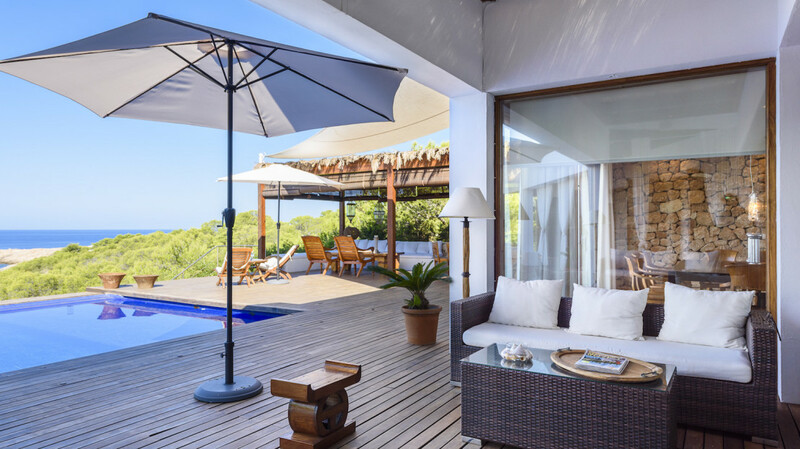 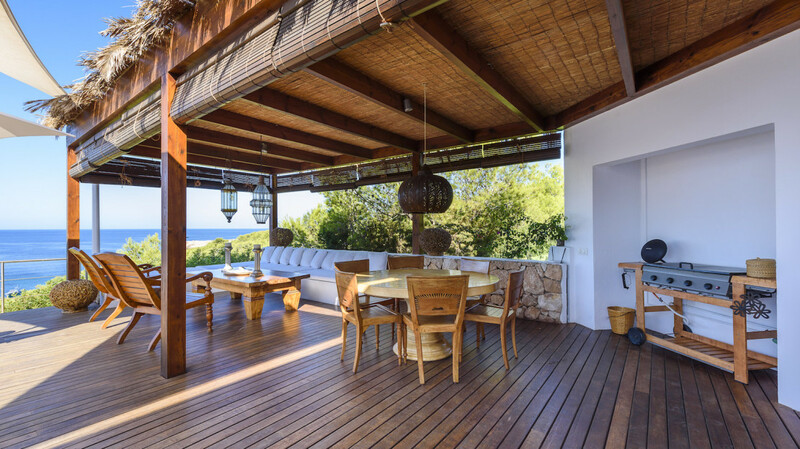 The villa is very comfortable with spacious living areas and different seatings to enjoy the views. 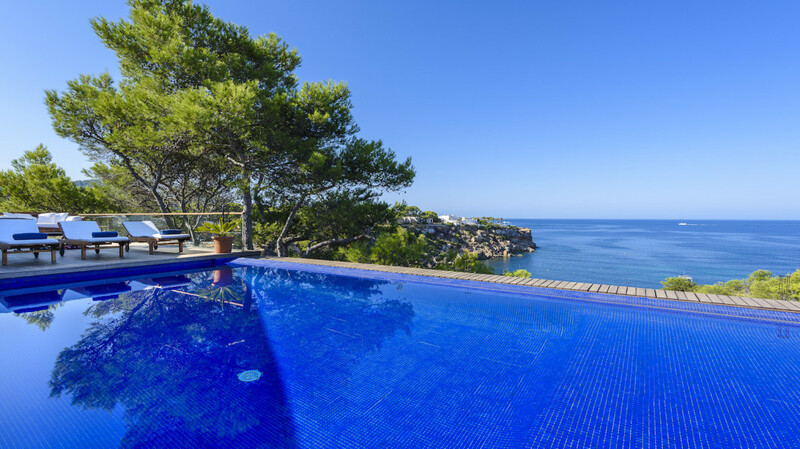 There is also a direct access to the sea by wooden stairs from the property, ideal for a morning swim. 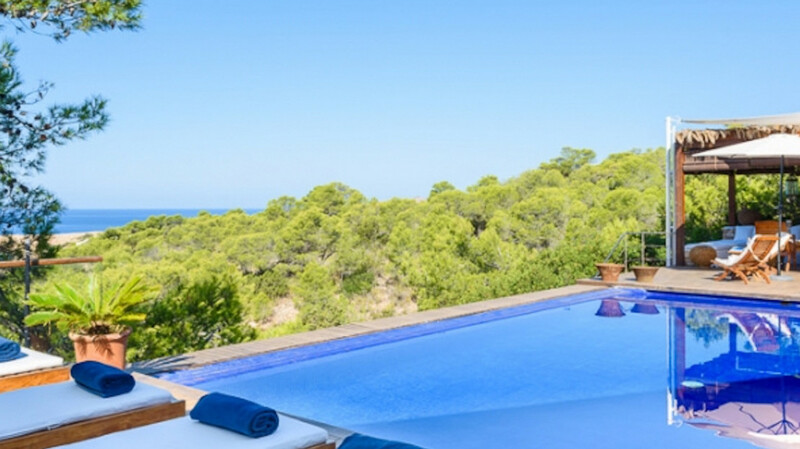 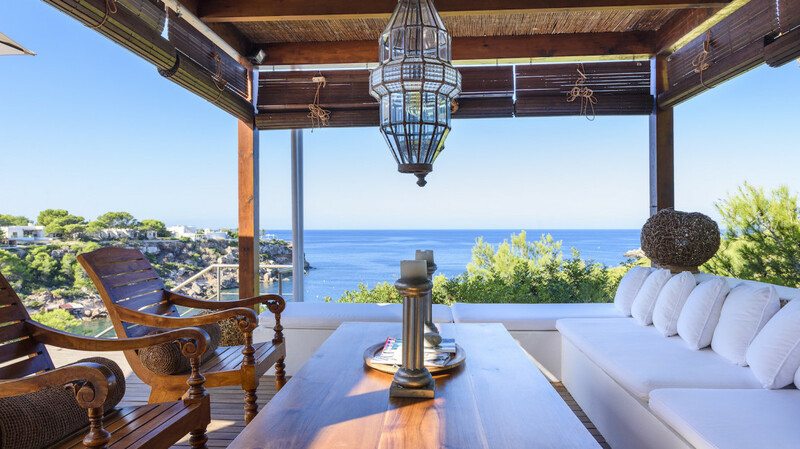 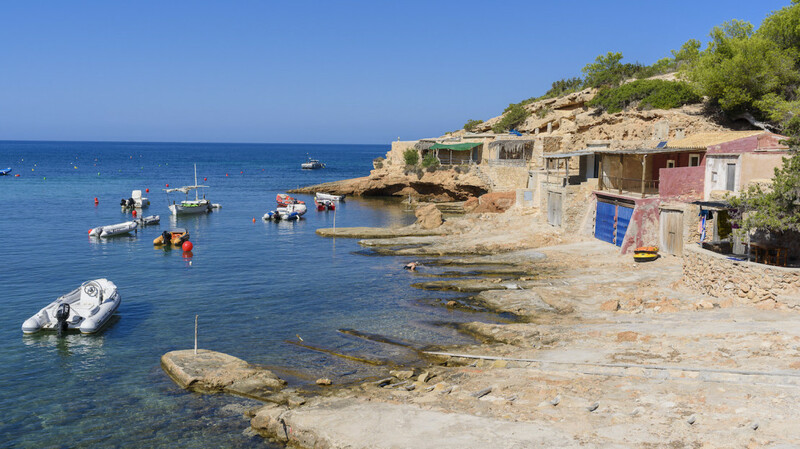 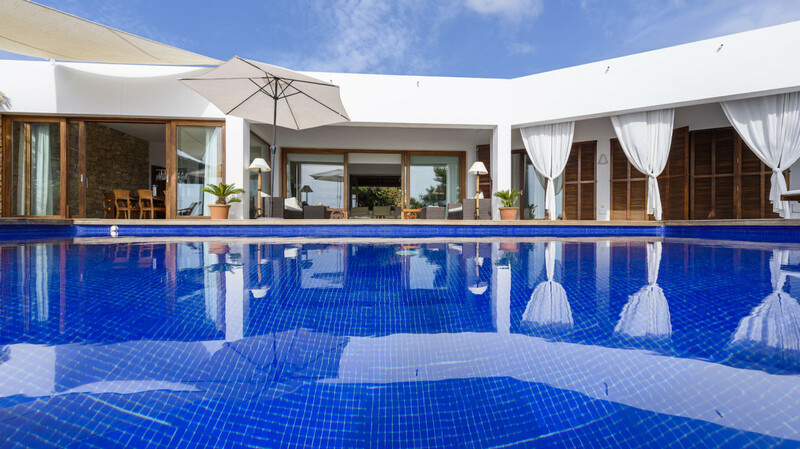 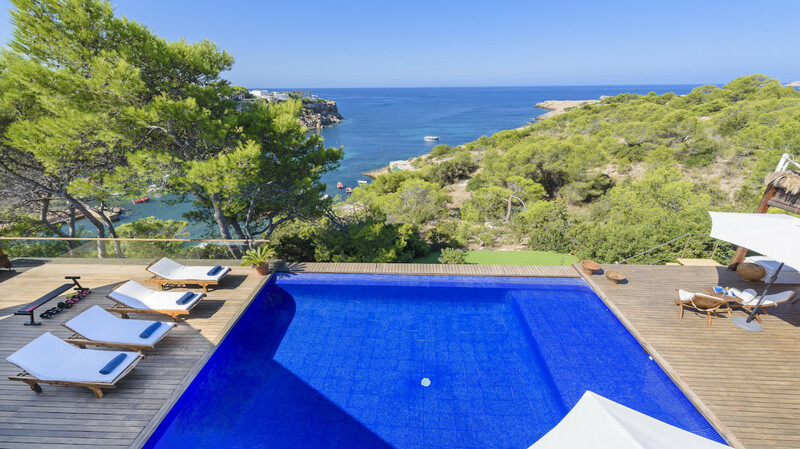 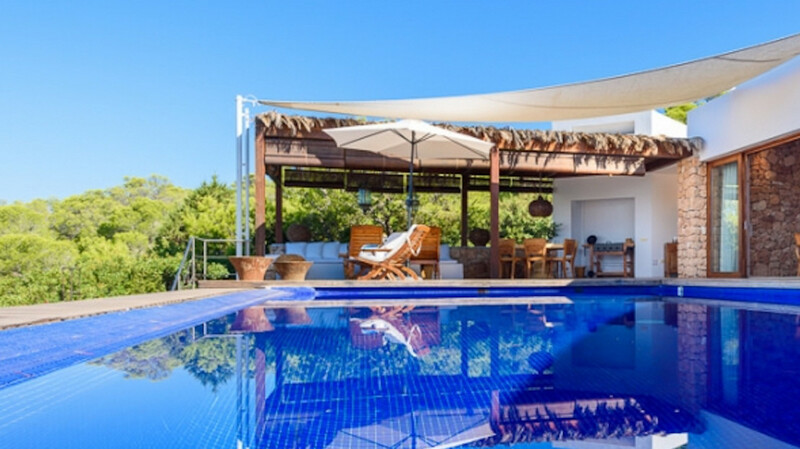 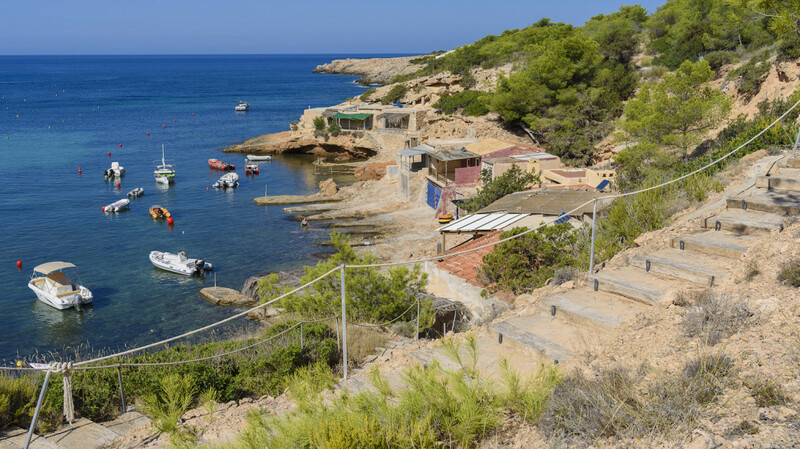 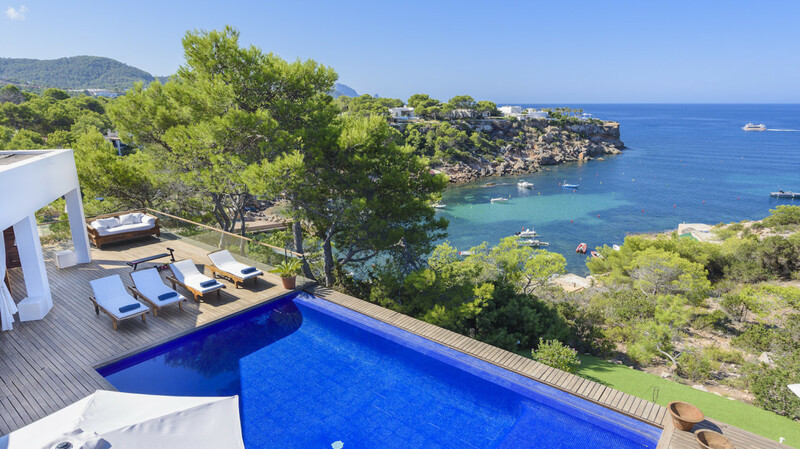 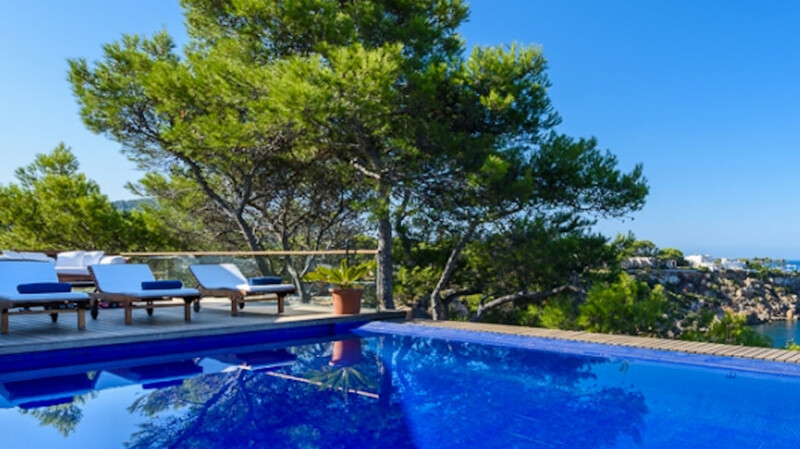 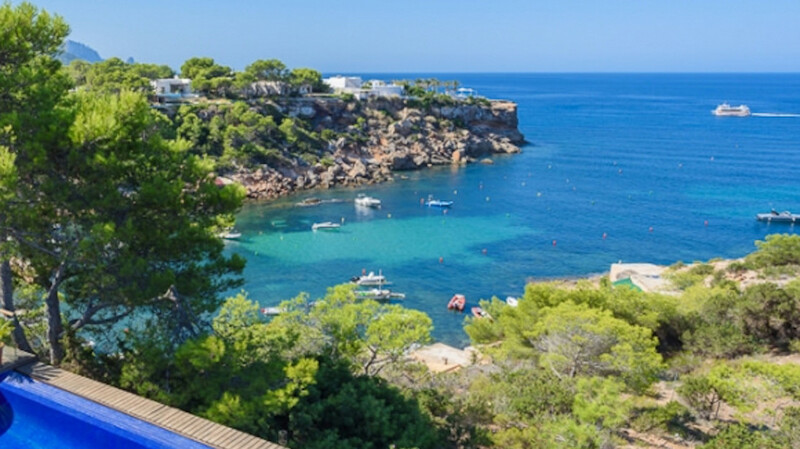 The villa is located close to Cala Tarida, Cala Codolar and to the lovely village of San José (Ibiza). 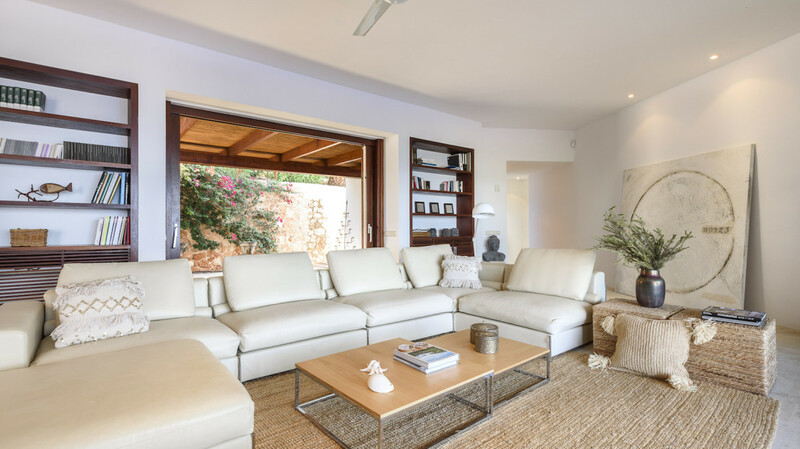 Entrance to a spacious lounge with TV, A / C, fireplace and dining area for 12 people. 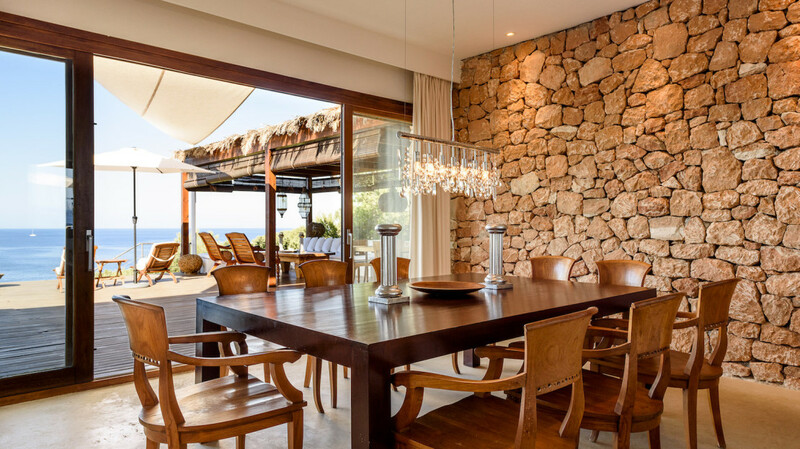 Beside the dining room. 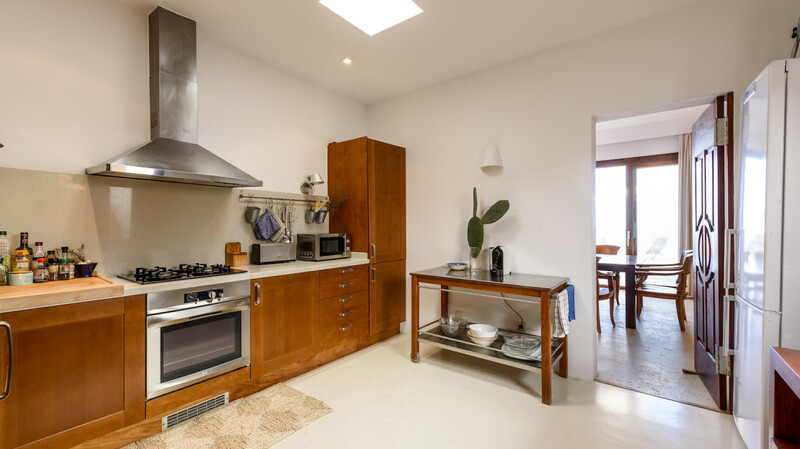 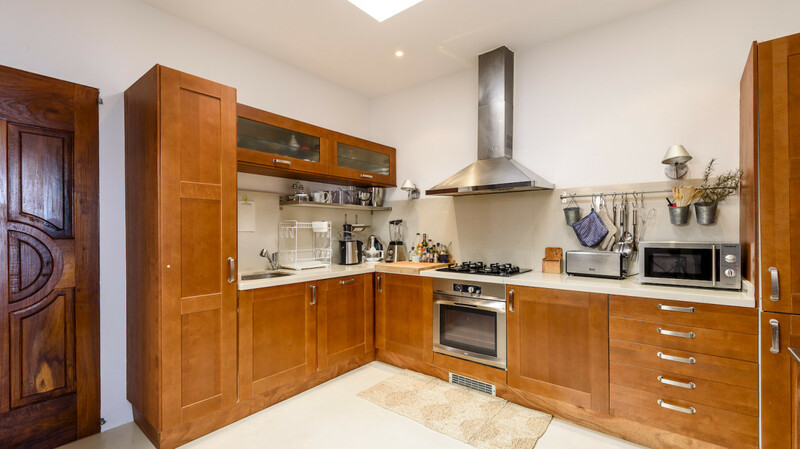 kitchen fully equipped with stove, oven and microwave, etc … and door with access to the laundry area. 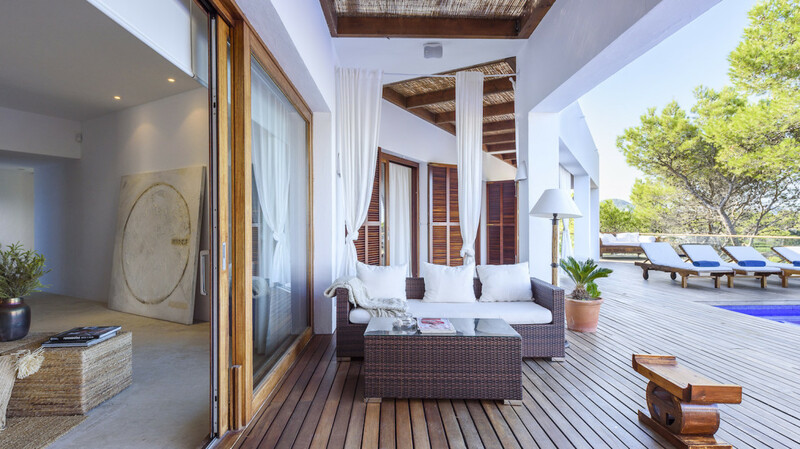 Both the lounge and dining room open onto a large terrace outside with other seating area with sofas, dining area. 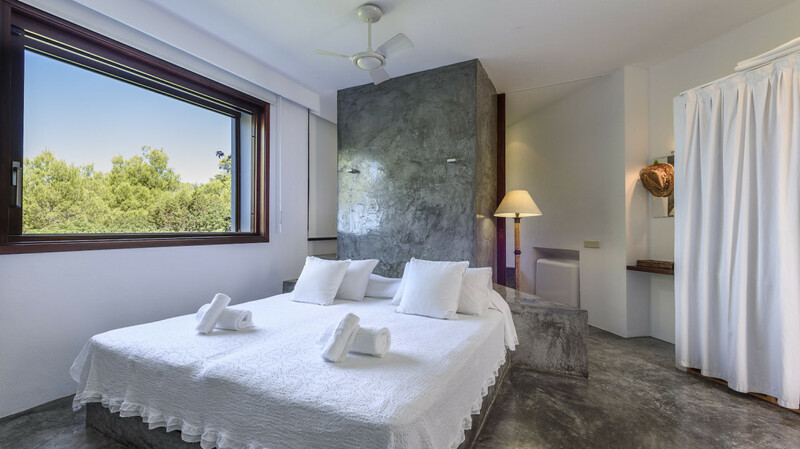 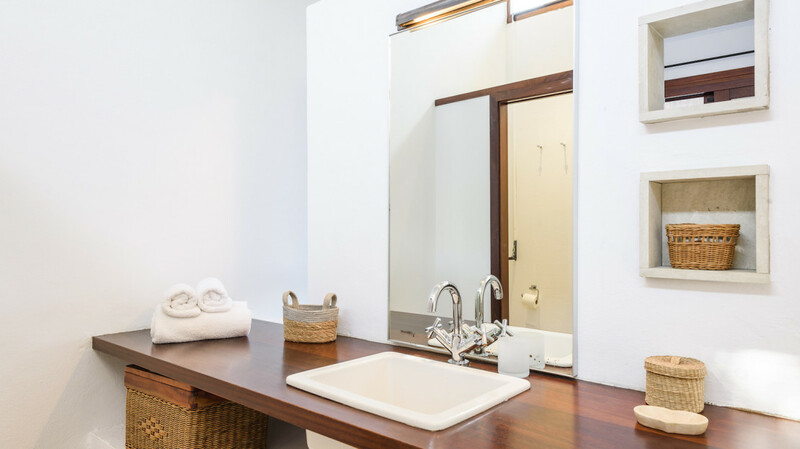 – 1 bedroom with king bed size, A / C, TV and ensuite bathroom with shower, sea view. 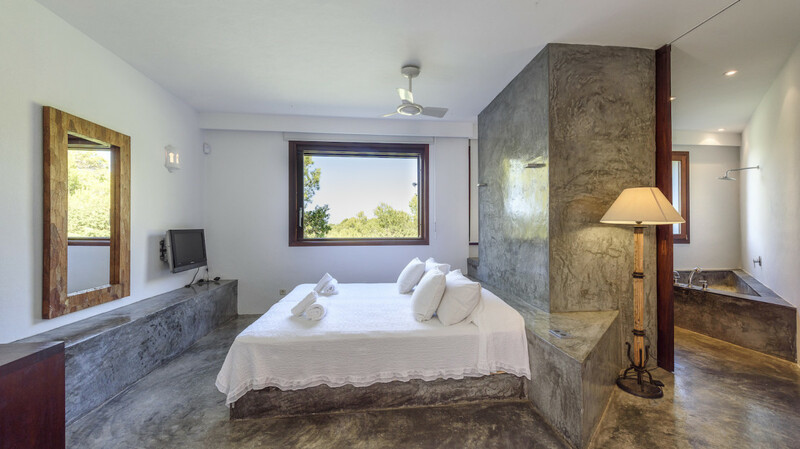 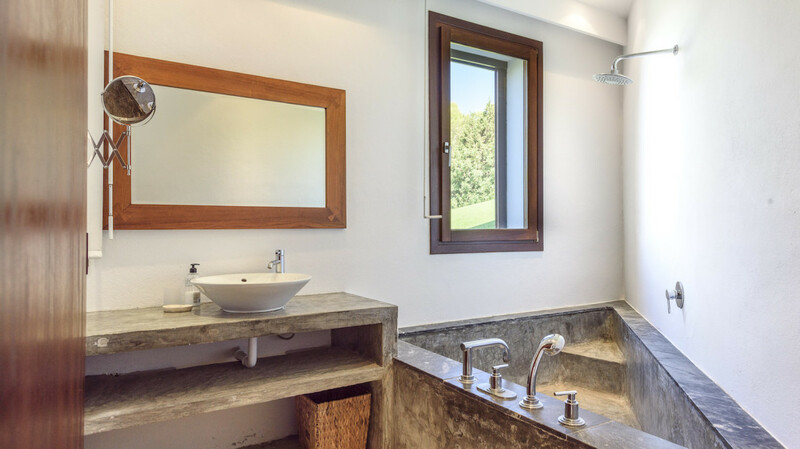 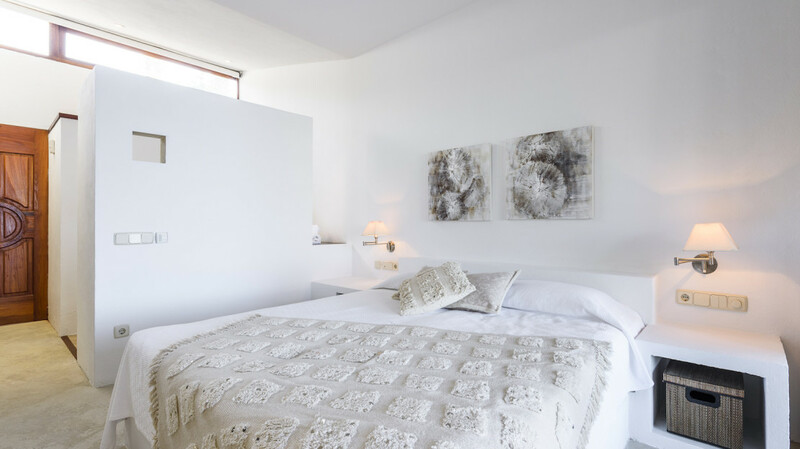 On the back, a smaller bedroom with 2 single beds, bathroom with shower, A / C.
Overlooking the sea, on the right wing, separate suite with King size bed, ensuite bathroom with large bathtub and amazing sea views. 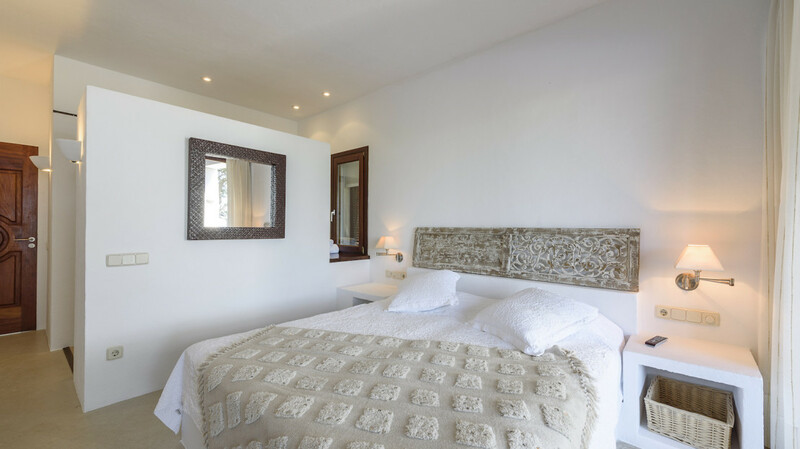 Alarm, electric gate for entrance. 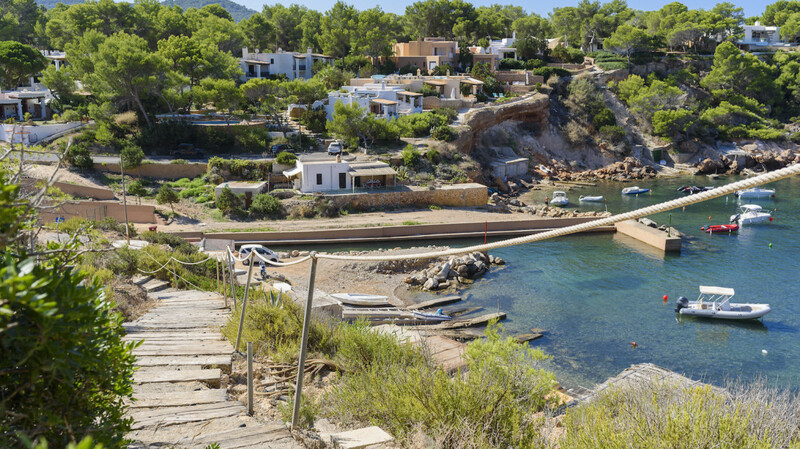 Sea access from the property.